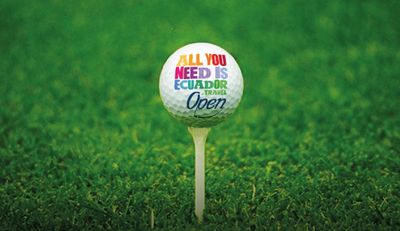 Home / News / Ecuador: The Golfer's New Paradise? The sun is sliding towards the horizon. Waves roll against rocks on the shore below.You stare down a green stretch of perfectly trimmed grass. Slight wind. On one side, mountains stretch up, seemingly into the clouds. 18 holes. Par-72. World-renowned golf course architect Steve Smyers is finally bringing his designs to Ecuador, and he’s never been more excited about such an enticing environment. One of the things that first captured Steve’s attention was the diversity of the land. He claims he loves visiting difficult terrain, unveiling its potential, and bringing the beautiful game of golf with him. About the course, he was particularly intrigued with the biodiversity. "It's called Costa Jama, and it has four different ecosystems." "It's right on the Equator, where the mountains meet the Pacific Ocean, with three finishing holes right on the water or playing directly towards it. It also traverses a jungle, a ravine, a riverside, and winds into the foothills of the mountains. We even play along the side of a river! It's an absolutely spectacular natural setting for golf." In the meantime, as the course and resort are being finished, it’s not too late to find excellent property in the surrounding coastal cities. If you love golf, enjoy the beach, and want to live in a country that values environmental preservation and quality of life, look no further than Bahia de Caraquez, Canoa, or Jama, Ecuador. Costa Jama golf course, located north of Jama, is part of the Costa Jama Beach and Golf Resort. Properties in Jama provide close access to the course and community. Although Jama is an entirely self-sufficient town, complete with all expected amenities and stores, it is also located only a four hours’ drive from Quito. The close proximity makes international travel much easier. Canoa, a more laid-back fishing village, offers surfers and beach lovers a natural refuge. The town has a laid-back vibe, and isn’t frequented by many tourists in comparison to other cities along the coast. It’s located only forty-five minutes from Jama, making every day golfing a distinct possibility. Both cities have oceanfront properties for sale, but when looking to purchase property, it’s important to work with someone who knows the area. 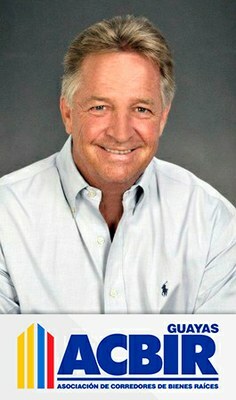 John Vollmecke of Ecuador Homes and Land has over thirty-five years of real estate experience in the States and has brought that vast experience to Ecuador. When he moved to Ecuador in 2013, he moved to Manta, another coastal town. Since then, he’s also lived in Jama and Canoa, making him quite knowledgeable about what the areas are really like. Get in touch with him if you want to learn more about property possibilities in Jama or Canoa. After taking in the view of the ocean, you might even get him to join you in a game of golf.